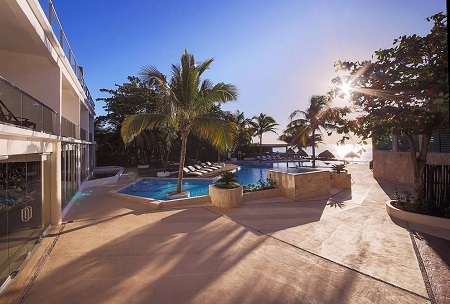 Beachfront Boutique Le Reve Hotel Playa del Carmen, 45 min from Cancun Airport, MEXICO! Bid per Room per Night and Choose your Length of Stay! 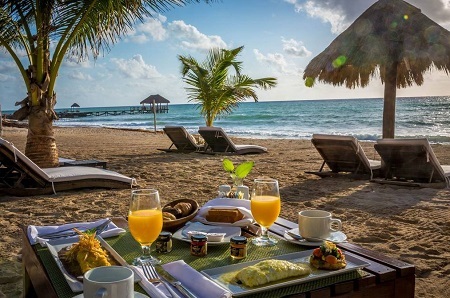 Located 45 minutes south of Cancun and 10 km north of Playa del Carmen, Le Rêve Hotel & Spa is a seaside jewel at the Caribbean Sea with a unique collection of 25 rooms, with the perfect blend of nature, peace, comfort, culinary delights and Mexican hospitality. Whether you decide to relax and be pampered with your family, friends or with your needy soul, Le Rêve Hotel & Spa is the ideal place to make your dreams come true as you ever imagined. Le Rêve Hotel and Spa is delighted to ensure the following services to its guests to provide them with a unique experience during their stay. ** Extra charge may apply. Offer is based on single or double occupancy in a Gardenview, European Plan - No Meals. These guestrooms are located on the first floor at the same level of the lobby featuring a cozy queen size bed and Le Rêve Hotel & Spa signature handcrafted Mexican tiles in the wall. For those who like to feel the soft sea breeze while relaxing on their balcony with garden view, enjoy reading an interesting book while sipping a cup of delicious coffee. Stay a minimum of 1 Nights or up to 10 nights as deisred and based on availability.